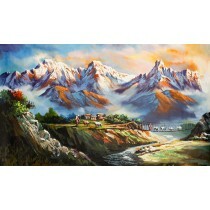 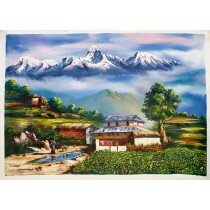 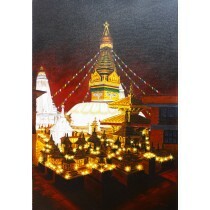 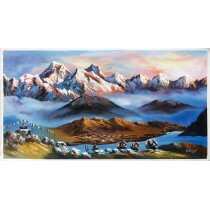 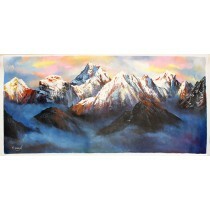 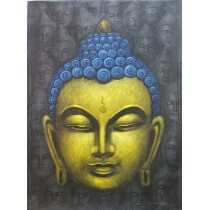 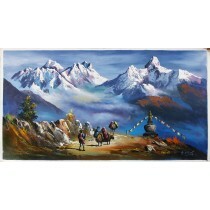 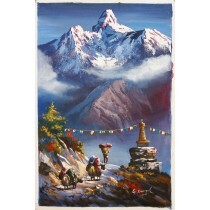 The beautiful painting of Ama dablam is painted by an experienced artist using Acrylic color on canvas. 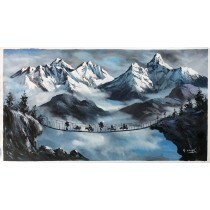 Painting measures 36" of width and 18" of height. 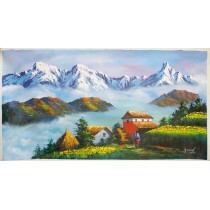 Painting is perfect for decoration.